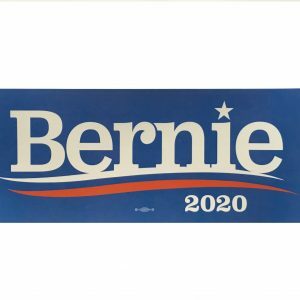 A variety of 2020 Presidential candidate bumper stickers that are used for self promotion in the 2020 presidential election campaign. These beautiful bumper stickers will become collectors’ items in the years to come and are 100% Made in the USA. You can support your favorite candidate by proudly displaying the stickers or you can collection them as they generally increase in value each year. 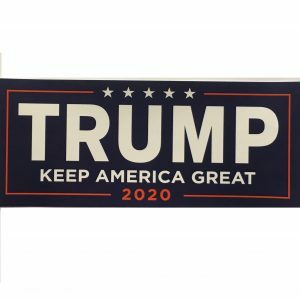 Interested in purchasing these any 2020 bumper stickers for a group, rally or special event? If so, choose from the price options below and receive the associated discount on your order. If you’d like to purchase more than 1,000 stickers, please use the “Make Offer” option to contact us regarding your specific needs. PresidentialElection.com is currently accepting new dealers. If you would like to resell our complete 2020 product line, please visit our How to Become a Dealer page for more information.